The school has provided high quality education in High Wycombe and beyond for almost 120 years. It was originally set up to support the local furniture industry, before becoming a technical school and finally becoming a grammar school in 1970 and serving the wider local area. The school needed to improve printing efficiency for teachers and students and find a BYOD solution. The costs of running printers was costly and rising and there were over eighty devices in use. The printer fleet at the school was old and required considerable IT support time. There were two methods of monitoring usage, one for copying and the other for printing which was extremely time consuming. Printing for students was labour intensive to manage and required dedicated printers throughout the school. Reducing the printer fleet with 13 print release stations being high-quality multifunctional devices saved time immediately. In addition to their current equipment in reprographics and administrative locations, all units had the same customised interface making the operation very simple. All staff and students can now conveniently retrieve a print job, or scan and copy from any machine. PaperCut’s FindMe print release software requires staff and students to swipe machines with their door entry card to activate a machine. The feature makes it almost impossible to waste paper, or leave a potentially confidential document behind. To further reign in print costs and remove the hassle of ongoing monitoring and maintenance, IBS Office Solutions put in place a managed print service agreement. This means John Hampden Grammar School now only pays for what it uses on a per-printed page basis and for paper. Repairs, advice, monitoring and cartridges are included in a single consolidated quarterly fee. Consolidation of fewer, more powerful multifunctional printers has resulted in lower running costs and access to no-nonsense, fast machines, making a happier workforce and healthier accounts. Print release software has reduced paper waste by 20% – 30%. IBS Office Solutions also configured machines to the organisation’s precise requirements including a default black and white setting. Any unwanted documents are automatically removed from the server memory after several days if left unprinted. 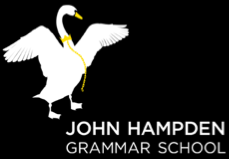 IBS Office Solutions managed print contract with John Hampden Grammar School has eliminated time wasted on printing problems. A fault on one device will no longer stop a member of staff completing a task, as they have the flexibility to use any printer in the office. IBS Office Solutions monitors how the entire printer fleet is operating with specialist software that runs in the background. If a problem is detected, an alert is automatically sent to IBS Office Solutions technical help desk to take action and the response is rapid.